EU Students Recognized at CWMUN New York! 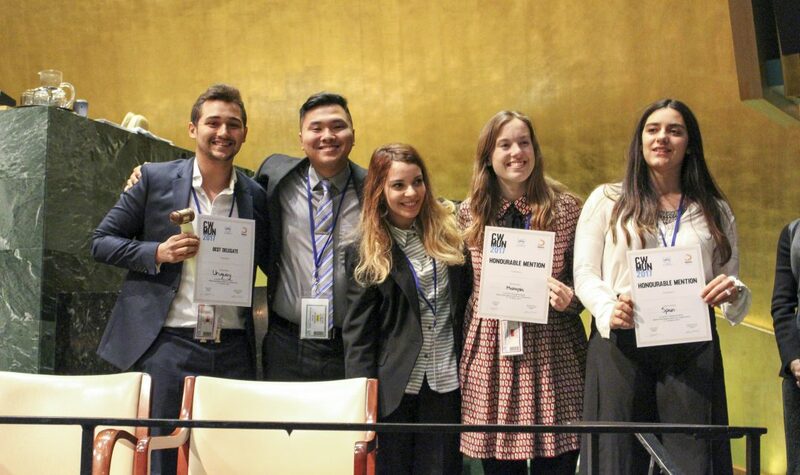 Home » Students » EU Students Recognized at CWMUN New York! 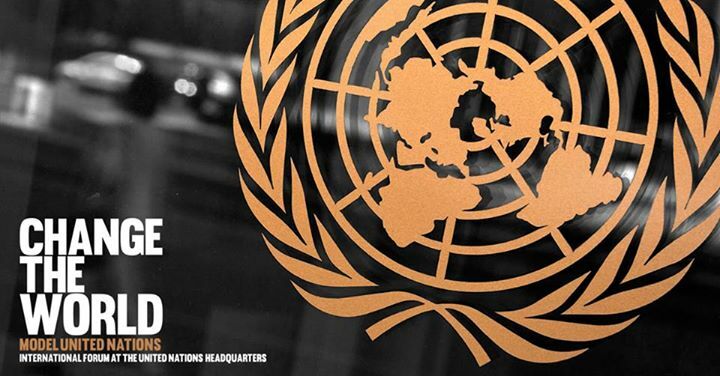 The annual Change the World Model United Nations (CWMUN) New York conference is a major international meeting attended by more than 2,000 students from all across the world. This year, the headquarters of the United Nations (UN) hosted the event and saw students in rooms like the General Assembly Hall. Students were literally able to sit in the same seats as the committees and countries they were representing. Each year, CWMUN addresses a different global issue. And there’s definitely no shortage of choice: global warming and climate change, water shortages and sanitation, peace and security, human rights, poverty and hunger, social and economic development, globalization, and the list goes on. CWMUN delegates need to discuss a selected issue while adopting the point of view of their assigned country or committee. The main objective is to look at how these huge issues can be resolved while generating new ideas and challenges. In order to pass resolutions, delegates need to rapidly build friendly and profitable relations. In a forum full of vested interests, this really tests delegates’ ability to mediate, negotiate and resolve conflicts. Right before their eyes, delegates see how relationships affect the resolutions accepted and passed. Along with this, CWMUN provides excellent practical experience in other areas of leadership, research, writing and public speaking. Our EU delegates prepared for the CWMUN conference long before they touched down in NYC. On the lead-up, students investigated the committees and countries of the UN and learned how to write UN resolutions. In addition to this, students did some personal research into their own assigned country or committee. A big part of this personal research was looking at past resolutions. By understanding what other countries had signed and supported, students gained a big insight into who their allies might be. And the hard work definitely paid off for our students. 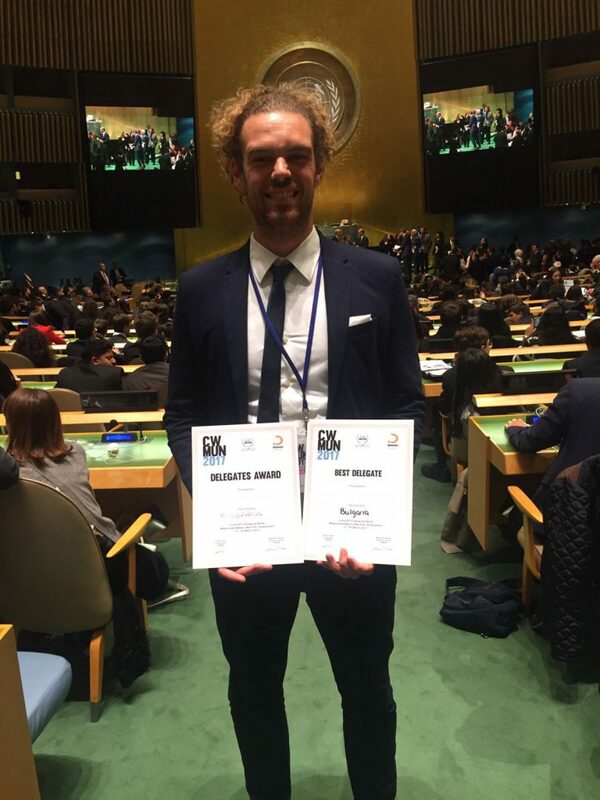 We are proud to announce that EU Barcelona’s Christian Plattes, in the Historical Security Council representing Bulgaria, was awarded “Best Delegate” by his peers and EU Switzerland’s Marvin José Posas Bautista, in the Security Council representing Uruguay, was awarded “Best Delegation” given by the Daises in the General Assembly. EU student Liam Quaresimin, who attended CWMUN 2016 as a delegate, also made the trip as a volunteer! Our students were up against some pretty stiff competition, CWMUN delegates were from top universities such as Harvard University, Politecnico di Milan, Università Luigi Bocconi, Universitè de Genève, University of Copenhagen, University of Coventry and the University of Sydney. But it wasn’t all work, our students got to take a bite out of The Big Apple too. They visited the cultural pockets of Chinatown, Little Italy and Koreatown along with the must-see sights of the Empire State Building, the Statue of Liberty and the 9/11 memorial site. On top of this, they saw the city from a limousine and a helicopter! Find out more about what happened last year here.